In a compelling, richly researched novel that draws from thousands of letters and original sources, bestselling authors Stephanie Dray and Laura Kamoie tell the fascinating, untold story of Thomas Jeffersonâs eldest daughter, Martha âPatsyâ Jefferson Randolphâa woman who kept the secrets of our most enigmatic founding father and shaped an American legacy. From her earliest days, Martha âPatsyâ Jefferson knows that though her father loves his family dearly, his devotion to his country runs deeper still. As Thomas Jeffersonâs oldest daughter, she becomes his helpmate in the wake of her motherâs death, traveling with him when he becomes American minister to France. And it is in Paris, at the glittering court and among the first tumultuous days of revolution, that she learns of her fatherâs liaison with Sally Hemings, a slave girl her own age. Patsy too has fallen in loveâwith her fatherâs protÃ©gÃ©, William Short, a staunch abolitionist intent on a career in Europe. Heartbroken at having to decide between being Williamâs wife or a devoted daughter, she returns to Virginia with her father and marries a man of his choosing, raising eleven children of her own. Yet as family secrets come to light during her fatherâs presidency, Patsy must again decide how much she will sacrifice to protect his reputation, in the process defining not just Jeffersonâs political legacy, but that of the nation he founded. 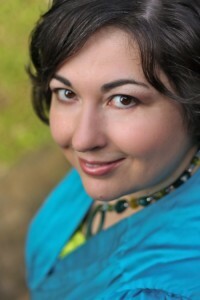 As LAURA KAYE, she is the New York Times and USA Today bestselling author of over a dozen titles in contemporary and paranormal romance. Her books have won numerous industry awards, including the EPIC eBook Award, the Golden Leaf award, the PRISM award, and the HOLT Medallion Award of Merit. She is a frequent panelist at national writing conferences and a frequent instructor of craft and social media workshops. Laura lives just outside the nationâs capital with her husband and two young daughters. 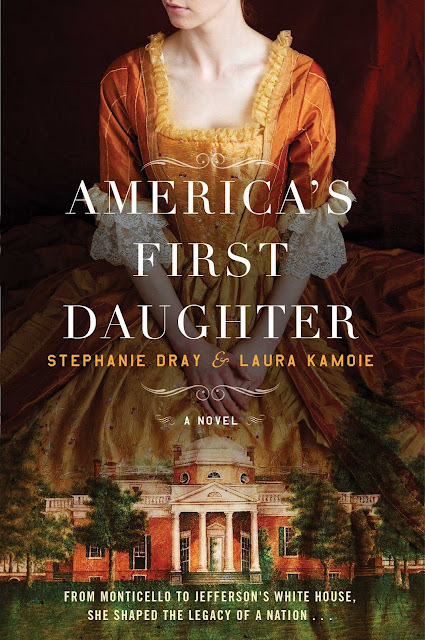 STEPHANIE DRAY is a bestselling and award-nominated author of historical womenâs fiction. Her series about Cleopatraâs daughter has been translated into six different languages, was nominated for a RITA Award and won the Golden Leaf. 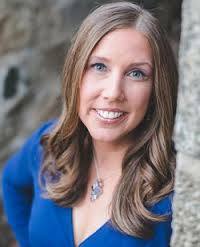 As STEPHANIE DRAVEN, she is a national bestselling author of paranormal romance, contemporary romance, and American-set historical womenâs fiction. She is a frequent panelist and presenter at national writing conventions and lives near the nationâs capital. Before she became a novelist, she was a lawyer, a game designer, and a teacher. Now she uses the stories of women in history to inspire the young women of today. Thank you for showing off our cover!